Over the past year or so I have noticed charity shops getting more and more expensive. I've also noticed a change in the clientele - there are a lot more very well-dressed middle class ladies recently. Now, I don't want to appear unfriendly (because I'm not! ), but I have to admit to occasionally feeling as if they are somehow trespassing on my territory. Hmmmm. That doesn't sound very nice, does it? But I'm afraid it's how I sometimes feel. Of course charity shops want to raise as much money as they can, and the popularity of ebay has seen a huge reduction in the donations they receive, so you can hardly blame them for increasing their prices a bit, especially as the more wealthy their customers, the more they will pay. Unfortunately for me, this means I often leave behind stuff I would have bought had it been a pound or two cheaper. 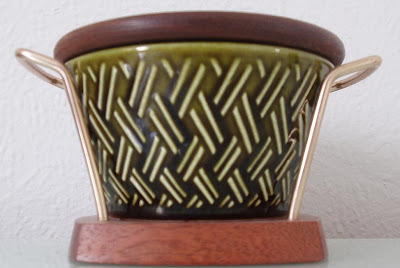 This week I have deliberately spent no more than £1 on any thrifted item, although I have to admit that if I had seen something irresistible I would have been at the till handing over the food-shopping money before you could say "£1 spending limit". This scarf has so much going for it. 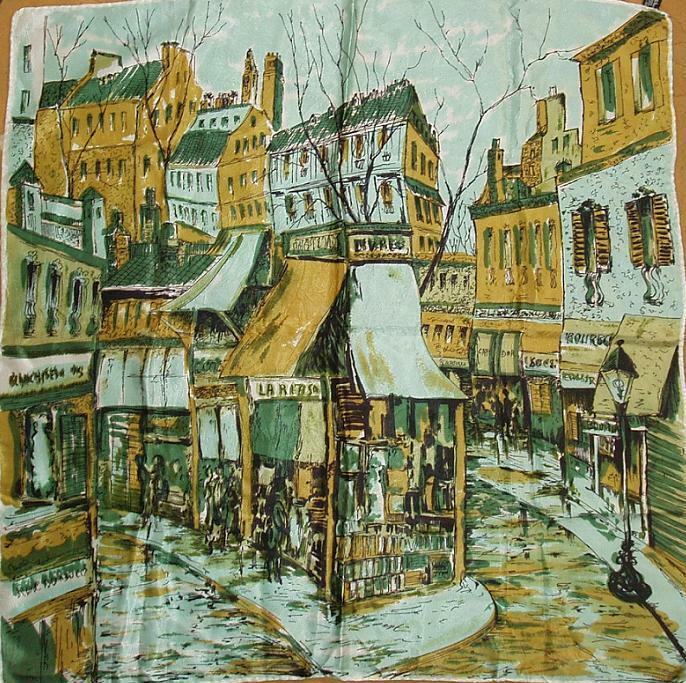 My favourite colours - Paris scene in the style of Bernard Buffet - bit of a 50s thing going on - £1. 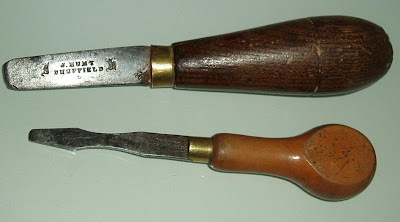 I love old wooden-handled tools, and these two little wood-turning tools were 50p each from my local car boot. Actually, when I asked how much they were, the stallholder said £3 each, and as I was putting them back down she said "oh, give us a pound, then". "A pound for both of them?" Bargain. I see a fair bit of this pattern around, but this is the first time I've found anything with the wooden stand and lid. 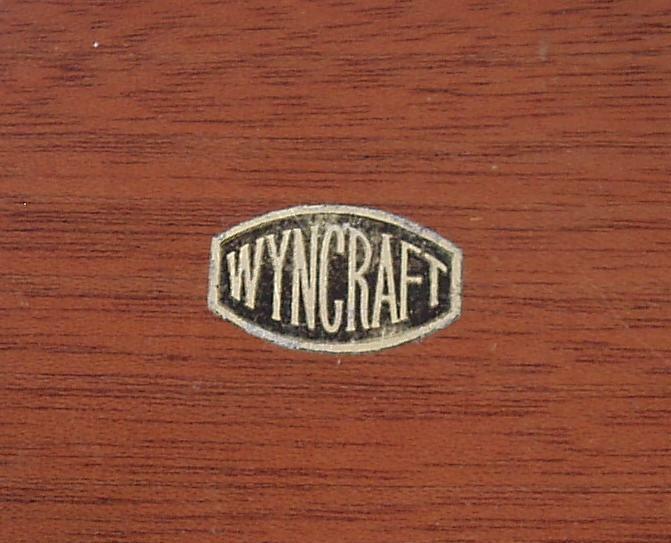 When I turned it upside down, as you do, I found this "Wyncraft" label, which I remember from my childhood. 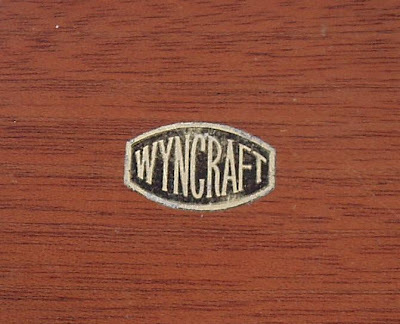 I don't remember what the label was on, but I remember the label clearly. I think it's a sugar bowl, although it's now a "bits and bobs on my kitchen windowsill" pot. £1. 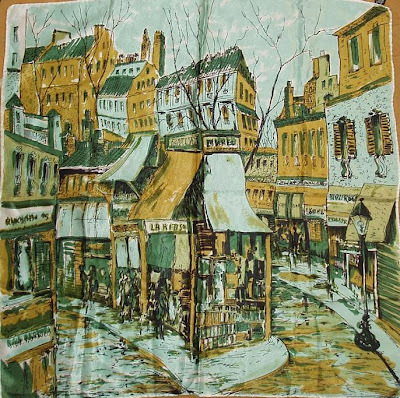 Gorgeous scarf - tres tres Buffet!